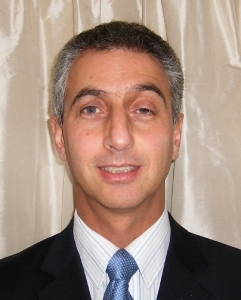 Drawing on 25 years experience in the construction industry, George Voyias formed Ashton Consulting Engineers in November 2007. George has been responsible for the conceptual and detail design of new buildings, as well as assessment and conservation of historical and modern buildings. He has designed a wide variety of new buildings in commercial, educational, health, retail, residential and industrial sectors. George has been responsible for the conservation of many listed historic buildings involving brick, timber, iron, stone, steel and reinforced concrete as structural materials. George joined Marks Heeley & Brothwell in 2004 as an Associate, where he designed a new £5m office building for Stevenage Business and Technology Centre including alterations to the existing external works. He also designed the £4m extensions to Clacton Leisure Centre, two three-storey blocks of flats in London and two large office/ light industrial business parks in Croydon and Watford. He worked for the Babtie Group (formerly Harris & Sutherland) from 1993 to 2003 and held the positions of Technical Director and Office Manager of their Cambridge Office. During this time he was responsible for the design of various major educational, health, commercial and residential buildings including the £9m office and laboratory buildings for the Generics Group and the £14m redevelopment of Babraham Institute. He also completed conservation work on many listed buildings including Ickworth Hall; Babraham Hall; the 12th and 15th Century buildings of Jesus College, Cambridge; Trinity Chapel, Cambridge and several historic churches. Prior to the above George worked in South Africa for a number of structural consultants including Arup in designing a wide range of commercial, retail, educational, health, residential and historic buildings. He graduated from The University of Leeds with a 1st Class Honours degree in Civil Engineering. While working full-time in South Africa he studied further and received a Graduate Diploma in Engineering (GDE) from the University of the Witwatersrand. George Voyias has extensive structural experience and is able to work from first principles. He thrives on working closely with architects and contractors to achieve creative and economic design solutions.